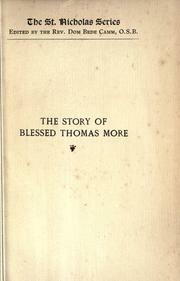 1 edition of The story of Blessed Thomas More found in the catalog. Add another edition? 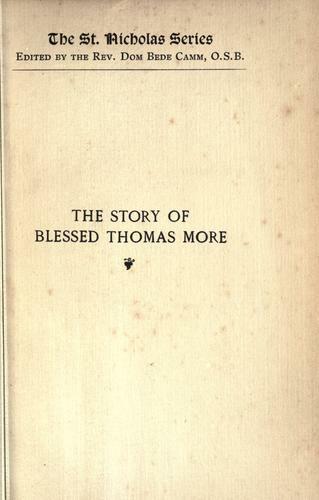 Are you sure you want to remove The story of Blessed Thomas More from your list? by Nun of Tyburn Convent. Published 1908 by Macdonald and Evans in London .